Algeria Algiers TTRP: none after 10y. Wealth Tax: from 0% to 1.75% (above 4MUSD), but do not include shares and business ownership. Corporate tax: varies from 19% to 26% and many exemptions are offered to new businesses. Tax Res: Those that own property and income in Algeria can be liable to tax residence. Angola Luanda RITRP: Property tax are none if rented, as it is payed by rental income. Antigua and Barbuda Saint John's Social Security tax: includes social security, medical benefits and education levy. CGTLTS: buyers and sllers of shares are taxed stamp duty on the value of the transaction, 5% to the vendor and 2.5% to the buyer. Argentina Buenos Aires Tax Res: Argentinian nationals looses tax residence by getting a foreign PR or on the 14th month abroad. Foreign nationals become tax resident only if they work in Agentina for 6 months a year. Corporate Tax: There is also a gross revenue tax impose by local jursdictions, around 5% for Buenos Aires. Austria Vienna Rental Income: 3% of rental contract is also levied for residential properties and 5% for commercial. Social Security tax: includes all additional charges levied. Azerbaijan Baku Investor Certificate: provide a 50% discount on income tax. Bahamas Nassau Property Tax: Can reach 1% for residential and 2% for commercial for the values above 500K. Corporate Tax: there is no corporate tax per say, but the business licence fees can be levied on your turnover mean for e.g. that a business with $50M turnover will pay 750K for its licence. Rental income: rate of business licence (see corporate tax), can reach a max of 1.5% of turnover. Bangladesh Chittagong CGLS: if hold for more then 5 years. If not regular income rate applies. Income tax: has an additionnal incremental wealth tax, highest rate starts at $250,000. The surcharge is imposed on the income tax declaration, rougly increasing the income tax rate to 43% instead of 30%. Bangladesh Dhaka CGLS: if hold for more then 5 years. If not regular income rate applies. Income tax: has an additionnal incremental wealth tax, highest rate starts at $250,000. The surcharge is imposed on the income tax declaration, rougly increasing the income tax rate to 43% instead of 30%. Barbados Bridgetown Corporate tax: approved small business and manifacturing business and other qualifying business have rate of 15%. Non-dom: taxed on Barbados income and outside income if remitted. Belgium Brussels Rental Income: 0.2% of lease amount is needed to be paid to register. Property Tax: levied on the regional and communal level, is based on the cadastral valuation that estimate the annual revenue. CGTR: none after 5 years. Bermuda Hamilton Social Security tax: Incremental and reduction can be applied based on industry and circumstances. Inheritance: stamp duty on the estate in the Bahama is incremental and reach the max of 20% after $2M. The family residence can be exempted. Brazil Brasilia Corporate tax: base rate of 15%+10% surcharge+ 9% social contribution. Brazil Rio de Janeiro Corporate tax: base rate of 15%+10% surcharge+ 9% social contribution. Brazil Sao Paulo Corporate tax: base rate of 15%+10% surcharge+ 9% social contribution. Canada Montreal Social Security Tax: most contributions are capped at CAD7555.32/ year, but the QPIP and the Health service are not. Inheritance: Capital Gains will be lievied but can be differed. Exit Tax: applies even from the moment you stop being a resident, capital gains will be levied as if you have sold your properties at fait market value. Payment can be differe to the time of actual sell if securities are given. Property Transfer Tax: raise up to 2.5% for amounts above CAD 1M. First time home howner can have that amount remboursed. Canada Vancouver Social Security Tax: contributions are capped at CAD7135/ year. Inheritance: Capital Gains will be lievied but can be differed. Exit Tax: applies even from the moment you stop being a resident, capital gains will be levied as if you have sold your properties at fait market value. Payment can be differe to the time of actual sell if securities are given. Property Transfer Tax: varies from 1% to 3%. BC now levies a 15% surtax on foreign buyers. China Beijing Non-domicile tax: non domicile residents are taxed on their Chinese investment income only during the first 5y. Corporate tax: high-tech industries are taxed at 15%. DTLS: varies between 5%- 20% depending on the holding period. China Foshan Non-domicile tax: non domicile residents are taxed on their Chinese investment income only during the first 5y. Corporate tax: high-tech industries are taxed at 15%. DTLS: varies between 5%- 20% depending on the holding period. China Guangzhou Non-domicile tax: non domicile residents are taxed on their Chinese investment income only during the first 5y. Corporate tax: high-tech industries are taxed at 15%. DTLS: varies between 5%- 20% depending on the holding period. China Shanghai Non-domicile tax: non domicile residents are taxed on their Chinese investment income only during the first 5y. Corporate tax: high-tech industries are taxed at 15%. DTLS: varies between 5%- 20% depending on the holding period. China Shenzhen Non-domicile tax: non domicile residents are taxed on their Chinese investment income only during the first 5y. Corporate tax: high-tech industries are taxed at 15%. DTLS: varies between 5%- 20% depending on the holding period. Colombia Bogota Corporate tax: An additional trade tax can be levied by municipalities up to 1%. Tax Res: can be tax resident if at least 50% of income or assets are in Colombia or if residing in tax haven. Colombia Cali Corporate tax: An additional trade tax can be levied by municipalities up to 1%. Tax Res: can be tax resident if at least 50% of income or assets are in Colombia or if residing in tax haven. Colombia Medellin Corporate tax: An additional trade tax can be levied by municipalities up to 1%. Tax Res: can be tax resident if at least 50% of income or assets are in Colombia or if residing in tax haven. Costa Rica San Jose Tax Res: those under payroll in Costa Rica are tax residents. Croatia Split Income tax: includes the 10% surcharge for the city of Split. Tax Res: 183 days in one or 2 years or dispose of a property for 183 days. Cyprus Limassol Non-dom: no tax on capital income from Cyprus or abroad. Tax res: for 60 days - cannot stay 183 days in an other country. Cyprus Nicosia Non-dom: no tax on capital income from Cyprus or abroad. Tax res: for 60 days - cannot stay 183 days in an other country. Denmark Copenhagen Social Security Tax: 10% from employee, employers varies based on activy. Dominican Republic Santo Domingo Inheritance: family property can be exempted. Egypt Cairo DTLS: can be reduced to 5% if individual owns over 25% of shares of company and hold over 2 years. Estonia Tallinn Investment Income: local Dividend and capital gains are tax-free if reinvested. Foreign income is tax-free is taxed have been payed on them in foreign country. Finland Helsinki Exit tax/Tax Res: can be considered tax resident for another 3 years after departure unless they prove they have had no essential connections. France Nice Exit tax: if over 50% of shareholding and over €800,000. Furthermore needs to have been a tax resident 6 years in the last 10 years. Wealth tax: taxed on worlwide assets, start after €1.3M at a rate of 0.5% to 1.5% after €10M. Certains nationals of foreign countries are exempted of the wealth tax for the first 5 years. Inheritance Tax: Assets minus liability. Taxed at a progressive rate with an € 100,000 exemption but hits highest margine after € 1,805,677. France Paris Exit tax: if over 50% of shareholding and over €800,000. Furthermore needs to have been a tax resident 6 years in the last 10 years. Wealth tax: taxed on worlwide assets, start after €1.3M at a rate of 0.5% to 1.5% after €10M. Certains nationals of foreign countries are exempted of the wealth tax for the first 5 years. Inheritance Tax: Assets minus liability. Taxed at a progressive rate with an € 100,000 exemption but hits highest margine after € 1,805,677. Georgia Tbilisi DTLTS: can be exempted if from Free industrial zone, financial institution and from free floating securities. Germany Berlin Inheritance tax: incremental, 30% is after €26M. €400,000 is exempted. Corporate Tax: includes a 15% federal tax and a regional trade tax. Exit Tax: unrealised capital gains can be levied. Germany Frankfurt Inheritance tax: incremental, 30% is after €26M. €400,000 is exempted. Corporate Tax: includes a 15% federal tax and a regional trade tax. Exit Tax: unrealised capital gains can be levied. Germany Munich Inheritance tax: incremental, 30% is after €26M. €400,000 is exempted. Corporate Tax: includes a 15% federal tax and a regional trade tax. Exit Tax: unrealised capital gains can be levied. Gibraltar Gibraltar Source: Taxed on foreign income remitted to Gibraltar. STR: Maximum tax contribution capped at £22,000 under Category 2 individuals. Grenada Saint George's Capital gains & Dividend: There are no tax on capital gains or dividends, but an Annual Stamp Tax that applies at arate of 0.5% for receipts below $111,000 and 0.75% for receipts above. Honduras San Pedro Sula Corporate tax: rate of 25% + 5% solidarity and 0.015% of gross income to the municipality. Hungary Budapest Tax Res: for hungarian citizen, nationality can be a factor. India Bangalore Non-ordinarly resident: tax on local and remitted income. Tax Res: physically present in India for a period of 60 days or more during the relevant tax year and 365 days or more in aggregate in four preceding tax years (60 days rule). India Chennai Non-ordinarly resident: tax on local and remitted income. Tax Res: physically present in India for a period of 60 days or more during the relevant tax year and 365 days or more in aggregate in four preceding tax years (60 days rule). India Delhi Non-ordinarly resident: tax on local and remitted income. Tax Res: physically present in India for a period of 60 days or more during the relevant tax year and 365 days or more in aggregate in four preceding tax years (60 days rule). India Hyderabad Non-ordinarly resident: tax on local and remitted income. Tax Res: physically present in India for a period of 60 days or more during the relevant tax year and 365 days or more in aggregate in four preceding tax years (60 days rule). India Kolkata Non-ordinarly resident: tax on local and remitted income. Tax Res: physically present in India for a period of 60 days or more during the relevant tax year and 365 days or more in aggregate in four preceding tax years (60 days rule). India Mumbai Non-ordinarly resident: tax on local and remitted income. Tax Res: physically present in India for a period of 60 days or more during the relevant tax year and 365 days or more in aggregate in four preceding tax years (60 days rule). Iraq Baghdad General Sales tax: there are no general VAT, but restaurants and other specific services and products are taxed. Ireland Dublin Inheritance: €310000 is exempted for direct line. Corporate Tax: can be 12.5% for excepted trades including certain land dealing activities, income from working minerals and petroleum activities. Wealth tax: domiciled individuals with worlwide revenue of €1M+ and owner of €5M + in irish property and with income tax below €200,000 are liable to a minimum annual levy of €200,000. Exit tax: capital gains can be tax, but also be defered. Tax Res: or more in that year, or 280 days or more in that and the preceding year combined, including at least 30 days in each year. Isle of Man Douglas Corporate tax: most businesses are not tax unless its from renting property (20%), banking (10%) or retail with sales above 1/2 M pounds (10%). Italy Rome Income tax: is levied at the federal (max 43%), regional (max 1.74%)an municpal level(0.8%). Wealth Tax: immovable properties are taxed at a rate of 0.76% unless main residence (0.4%). inheritance: €1M exemption. Corporate rate: federal (24%) and regional rate (4.82%). Non-dom: Individuals who migrate their tax residency from abroad to Italy are allowed to opt for their non-Italian sourced income to be taxed in Italy through the application of a flat substitutive tax, at a fixed amount of 100,000 euros. Italy Venice Income tax: is levied at the federal (max 43%), regional (max 1.74%)an municpal level(0.8%). Wealth Tax: immovable properties are taxed at a rate of 0.76% unless main residence (0.4%). inheritance: €1M exemption. Corporate rate: federal (24%) and regional rate (4.82%). Non-dom: Individuals who migrate their tax residency from abroad to Italy are allowed to opt for their non-Italian sourced income to be taxed in Italy through the application of a flat substitutive tax, at a fixed amount of 100,000 euros. Japan Tokyo Tax Res: hold residence or place of abode for more than a year or see Non-permanent. Non-permanent: Foreigners who have been in Japan for 5 years or less in the last 10 years are taxed on their Japanese income and what they remitt. Inheritance tax: top marginal rate hits 55%, but few deductibles allows to reduce significantly the rate. If the deceased or the beneficiary are have not be residing in Japan, tax can be levied only on japanese property. Corporate tax: includes many different tax levied at federal, regional and municipal level. Exit tax: will apply to citizens or foreign residents of more than 5 years in the last 10 years. Tax will be on unrealized capital gains. Jersey Saint Helier Income Tax and Lump Sum: Weathy foreigners can decide to subscribe as a High Value Resident and pay a lump sum of 20% on his first £625000 and 1% on the remaining. Corporate tax: 10% for regulated Financial services. Kazakhstan Astana STR: under the Astana International Financial Center companies and individuals can be shielded from tax. Kenya Nairobi Tax Res: or each of the two preceding years of income for periods averaging more than 122 days in each year of income. Kuwait Kuwait City Corporate Tax: foreign owned companies are taxed at a rate of 15%, and GCC countries on their pourcentage of foreign owned parts. Publicly taded companies are taxed at a rate of 1% of profits. An additionnal 1% is levied for the KFAS. Latvia Riga Inheritance: only on transfer of property. Corporate tax: no tax on corporate income until distributed. Dividend tax: 20% tax or none if corporate tax on dividend was paid. Liechtenstein Vaduz Social Security tax: an additionnal Health care plan needs to be subcribed and the cost split between employee and employer. Wealth tax: assets are valued a fair market price and 4% interest is added to the income declaration. Luxembourg Luxembourg City Wealth tax: on the welath of "opaque companies". CGLTS: can be none if disposed after 6 months and without 10% ownership in the last 5y of the company. Macau Macau Income tax: highest marginal rate is 12%, but many exemption are applicable reducing significantly the tax rate. Capital Gains: transactions are charged a stamp duty. Malaysia Kuala Lumpur Corporate tax: the amount above $1.2M is taxed at a rate of 25%. Malta Valletta Res tax: Those applying for HNWI tax scheme need to reside in Malta for a minimum of 90 days each calendar year, and cannot spend more than 182 days a year in any other single jurisdiction. Income tax: High earners can apply to the HNWI tax scheme at a 15% flat rate on foreign income, that requires a minimum of €25,000 per year of contribution. Inheritance tax: stamp duty applies to stransfer of shares (2%) and property (5%). STR: Also non-domicile, taxed on foreign income if remitted to Malta. Mauritius Port Louis Tax Res: Or presence in Mauritius in that income year and the two preceding income years is for an aggregate period of 270 days or more. Inheritance: not levied on the estate, but successor must declare it as income. Mexico Mexico City DTLTS: the corporate tax payed by the mexican company can e deducted from the income tax, leaving generally very little to be taxed. Monaco Monaco Income Tax: french citizen are subject to income tax. Corporate tax: taxed if more than 25% of your income is arise from the principality. Exemptions and discounts are made on the first few years. Morocco Casablanca Inheritance: no tax but stamp duty applies to all transactions in Morocco. Morocco Dakhla Personal Tax: 5 year exemption and 80% reduction for the next 20y as part of Free Zone. Corporate tax: 5 year exemption and 8.75% for remaining 20y. Inheritance: no tax but stamp duty applies to all transactions in Morocco. Netherlands Amsterdam Income tax: A newly arrived immigrant performing a highly skilled job can obtain a 30% deduction of his gross icome, reducing significantly his tax bracket. Inheritance tax: Business passed on can be exempted up to roughly €1M. Additional value is taxed at a reduced rate and can be differed. Dividend tax: assets are assumed to generate annual income varying from 2.87% to 5.39% (amount exceeding $1M). CGLTS: same as dividend tax, but ownership of more than 5% of company shares can receive exemption of capital gains. New Zealand Auckland Social Security tax: other Social Security tax exist like the employee fringe benefits tax and the Kiwi Saver where the employer might need to match up to 1/3 of the employee contribution to a saving scheme. Nicaragua Managua Non resident: taxation as a non-resident is at a rate of 15%, contrary to Guatemala and Honduras, you can prove that your economic interest are outside the country if you have a tax certificate of domicile from a non-tax haven country. Inheritance: you will need to pay to register a property. Norway Oslo Tax res: or 270 days in any 36-month period. Exit Tax: can be differed until actual gains are made, also the individual will be considered resident until the first year they can prove that they have not stayed in Norway for more than a total of 61 days throughout the income year (1 January thru 31 December), and the individual (or any closely related person) has not had a dwelling in Norway at their disposal. Oman Muscat VAT: Must be introduced by the end of 2018. Philippines Manila DTLTS: no tax but a stamp duty apply on the transaction. CGLTS: no tax but a stamp duty apply on the transaction. Portugal Lisbon Income tax: new additional surcharge for 2017. Non-Domicile: foreign income can be tax-free for the first 10y and local income can be taxed at a flat rate of 20%. Saint Lucia Castries Dividend tax: taxed only if remitted. Saudi Arabia Jeddah Income tax: no tax is levied off employment. But only if business tax are payed by an entity, otherwise employment is taxed. Corporate tax: only on foreign ownership or non GCC shares. Locals pay 2.5% zakat on net worth. Oil & Gas companies are taxed at a higher rate. Social Security Tax: the rate is for locals, foreigner pay 2%. Saudi Arabia Riyadh Income tax: no tax is levied off employment. But only if business tax are payed but an entity. Corporate tax: only on foreign ownership or non GCC shares. Locals pay 2.5%. Oil & Gas companies are taxed at a higher rate. Social Security Tax: the rate is for locals, foreigner pay 2%. Seychelles Victoria Corporate Tax: incremantal, an additonnal CSR tax applies on turnover at a rate of 0.5%. Rental Income: corporate tax, incremental. South Africa Cape Town Tax Res: and 915 days aggegate in the last 5 years. Inheritance: taxable after $200,000. CGLS: basicly 40% inclusion of gains into income tax. South Africa Johannesburg Tax Res: and 915 days aggegate in the last 5 years. Inheritance: taxable after $200,000. CGLS: basicly 40% inclusion of gains into income tax. South Korea Busan Non-permanent: Foreigners who have been in South Korea for 5 years or less in the last 10 years are taxed on their koren income and what they remitt. Income tax: Certain highly skilled foreigners can be taxed at a flat rate of 19%. CGLTS: If the seller ownes more than 2% of the company, he is taxed at 22%. DTFS: Can be waived for Non-permanent taxpayers. Inheritance: 50% kicks-in for amounts above $2.5M. Non permanent resident can be exempted from foreign assets. South Korea Seoul Non-permanent: Foreigners who have been in South Korea for 5 years or less in the last 10 years are taxed on their koren income and what they remitt. Income tax: Certain highly skilled foreigners can be taxed at a flat rate of 19%. CGLTS: If the seller ownes more than 2% of the company, he is taxed at 22%. DTFS: Can be waived for Non-permanent taxpayers. Inheritance: 50% kicks-in for amounts above $2.5M. Non permanent resident can be exempted from foreign assets. Spain Barcelona Wealth tax: at the highest rate, after €10.7M. There is an exempted amount of €500,000. Inpatriate: employees being transferred to spain are taxed as a non-resident rate of 24%. Exit tax: tax can be deferred. Spain Madrid Wealth tax: at the highest rate, after €10.7M. There is an exempted amount of €700,000. Inpatriate: employees being transferred to spain are taxed as a non-resident rate of 24%. Exit tax: tax can be deferred. Sweden Stockholm Tax Res: habitual Swedish taxpayers will have to wait 5 years to break tax residence. Switzerland Geneva Tax Res: 30 days (gainfull activities) or 90 days (non gainful activities). Lump Sum: only for foreigners without lucrative activity other than the management of their wealth. Switzerland Lausanne Tax Res: 30 days (gainfull activities) or 90 days (non gainful activities). Lump Sum: only for foreigners without lucrative activity other than the management of their wealth. Switzerland Zurich Tax Res: 30 days (gainfull activities) or 90 days (non gainful activities). Syria Aleppo Corporate tax: the rate varies depending on type of company, in addition there is 4% to 10% municipal tax and a 5% reconstruction tax. General Sales tax: none be certain services and luxury goods do have VAT. Inheritance tax: home and bank account of the testator are exempt. Syria Damascus Corporate tax: the rate varies depending on type of company, in addition there is 4% to 10% municipal tax and a 5% reconstruction tax. General Sales tax: none be certain services and luxury goods do have VAT. Inheritance tax: home and bank account of the testator are exempt. Taiwan Kaohsiung Tax Res: a Taiwanese nationals can be considered non-resident if he spends less than 31 days and has no vital interests in the country. Source: Taiwan regular income tax is territorial, but it applies an additionnal tax (Basic Income Tax)that covers foreign income after global income of $190,000, at a flat rate of 20%. China Tax Treaty: signed in 2015 but not yet effective. Inheritance: $380,000 (12m TWD) are exempted. CGPLTS: there is an additionnal share transfer tax of 0.3%. DTFS: Falls under Basis Income Tax is total income exceed $190,000 and foreign income exceeds $35,000. Taiwan Taichung Tax Res: a Taiwanese nationals can be considered non-resident if he spends less than 31 days and has no vital interests in the country. Source: Taiwan regular income tax is territorial, but it applies an additionnal tax (Basic Income Tax)that covers foreign income after global income of $190,000, at a flat rate of 20%. China Tax Treaty: signed in 2015 but not yet effective. Inheritance: $380,000 (12m TWD) are exempted. CGPLTS: there is an additionnal share transfer tax of 0.3%. DTFS: Falls under Basis Income Tax is total income exceed $190,000 and foreign income exceeds $35,000. Taiwan Taipei Tax Res: a Taiwanese nationals can be considered non-resident if he spends less than 31 days and has no vital interests in the country. Source: Taiwan regular income tax is territorial, but it applies an additionnal tax (Basic Income Tax)that covers foreign income after global income of $190,000, at a flat rate of 20%. China Tax Treaty: signed in 2015 but not yet effective. Inheritance: $380,000 (12m TWD) are exempted. CGPLTS: there is an additionnal share transfer tax of 0.3%. DTFS: Falls under Basis Income Tax is total income exceed $190,000 and foreign income exceeds $35,000. Tanzania Dar es Salaam Tax Res: Residential ties are triggered by 1 visit. Short term resident: does who have been resident for less than 2 years are taxed at 15% of local income and not on worldwide income. Thailand Bangkok Inheritance: 100M Bath ($2.8M) is exempted. DTFS: taxed only if remitted to Thailand. STR: Foreign Income are taxed if remitted in the current tax year. Thailand Phuket Inheritance: 100M Bath ($2.8M) is exempted. DTFS: taxed only if remitted to Thailand. STR: Foreign Income are taxed if remitted in the current tax year. Turks and Caicos Islands Cockburn Town General Sales tax are lievied on hotel, restaurants, bars, vehicules and financial transactions fees at a rate of 12%. Corporate Tax: a Business Licence is required, fees are annual and run in the thousands. Turks and Caicos Islands Providenciales General Sales tax are lievied on hotel, restaurants, bars, vehicules and financial transactions fees at a rate of 12%. Corporate Tax: a Business Licence is required, fees are annual and run in the thousands. UAE Abu Dhabi Inheritance: property transfer tax of 4% will be levied on the property. General Sales Tax: will be levied at a rate of 5% beginning 2018. 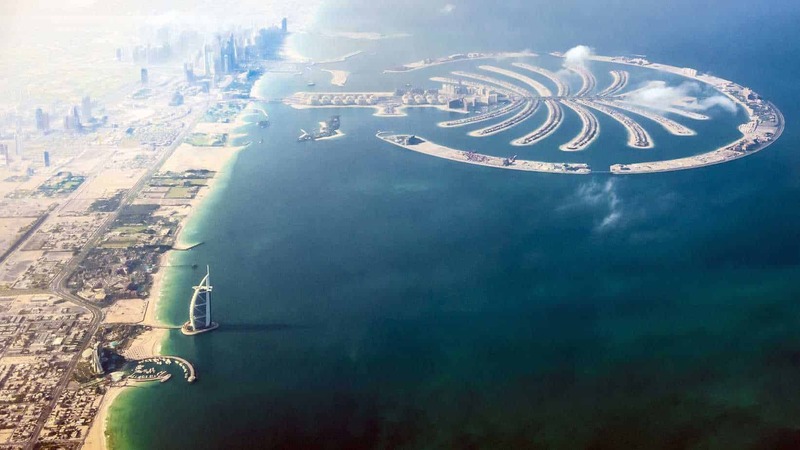 UAE Dubai Inheritance: property transfer tax of 4% will be levied on the property. General Sales Tax: will be levied at a rate of 5% beginning 2018. UK London Tax Res: tax resident if the individual’s only home is in the United Kingdom for at least 91 days in the year. Dividend Tax: varies between 7.5%, 32.5% and 38.1%. Social Security Tax:the National Insurance is payed by both employee and employer at different rates. Rates above £3,583 a month are taxed at 2% for the employee. Inheritance: free of tax under £325,000 or to spouse. STR: Non-domicile are taxed on their worldwide income on remittance basis, end once an individual has been UK resident for 15 out of the previous 20 tax years. Ukraine Kiev Income tax & Dividend Tax: includes an temporary 1.5% military tax. Inheritance: Stamp duty needs to be payed on property transfer, 1%. US Virgin Islands Charlotte Amalie Tax Res: EB-5 investors can be considered under the "substantial presence test" of 31 days in the calendar year or 183 days during the 3-year period that includes the current year and the two prior years. Corporate tax: an additionnal gross receipt tax can be levied for businesses with more than $150 000 in receipt a year at a rate of 4%. Certain businesses like bank are exempted. General Sales tax: varies from 2% to 25%. Banking secrecy: in a few states like Delaware, Wyoming, Nevada and South Dakota. USA Boston Tax Res: EB-5 investors can be considered under the "substantial presence test" of 31 days in the calendar year or 183 days during the 3-year period that includes the current year and the two prior years. Inheritance Tax: The federal exemption amount is $11.2M. Each state have a exemption amount as well. Dividend Tax Local: incremental, 20% is at the highest marginal rate. Exit Tax: applies to expatriate and termination of residence for Net worth above $2M and annual income abobe $162,000. $669,000 can be excluded. Income tax: up to $102,100 of foreign income can be excluded. Banking secrecy: in a few states like Delaware, Wyoming, Nevada and South Dakota. USA Los Angeles Tax Res: EB-5 investors can be considered under the "substantial presence test" of 31 days in the calendar year or 183 days during the 3-year period that includes the current year and the two prior years. Inheritance Tax: The federal exemption amount is $11.2M. Each state have a exemption amount as well. Dividend Tax Local: incremental, 20% is at the highest marginal rate. Exit Tax: applies to expatriate and termination of residence for Net worth above $2M and annual income abobe $162,000. $669,000 can be excluded. Income tax: up to $102,100 of foreign income can be excluded. Banking secrecy: in a few states like Delaware, Wyoming, Nevada and South Dakota. USA Miami Tax Res: EB-5 investors can be considered under the "substantial presence test" of 31 days in the calendar year or 183 days during the 3-year period that includes the current year and the two prior years. Inheritance Tax: The federal exemption amount is $11.2M. Each state have a exemption amount as well. Dividend Tax Local: incremental, 20% is at the highest marginal rate. Exit Tax: applies to expatriate and termination of residence for Net worth above $2M and annual income abobe $162,000. $669,000 can be excluded. Income tax: up to $102,100 of foreign income can be excluded. Banking secrecy: in a few states like Delaware, Wyoming, Nevada and South Dakota. USA New York Tax Res: EB-5 investors can be considered under the "substantial presence test" of 31 days in the calendar year or 183 days during the 3-year period that includes the current year and the two prior years. Inheritance Tax: The federal exemption amount is $11.2M. Each state have a exemption amount as well. Dividend Tax Local: incremental, 20% is at the highest marginal rate. Exit Tax: applies to expatriate and termination of residence for Net worth above $2M and annual income abobe $162,000. $669,000 can be excluded. Income tax: up to $102,100 of foreign income can be excluded. Banking secrecy: in a few states like Delaware, Wyoming, Nevada and South Dakota. USA San Francisco Tax Res: EB-5 investors can be considered under the "substantial presence test" of 31 days in the calendar year or 183 days during the 3-year period that includes the current year and the two prior years. Inheritance Tax: The federal exemption amount is $11.2M. Each state have a exemption amount as well. Dividend Tax Local: incremental, 20% is at the highest marginal rate. Exit Tax: applies to expatriate and termination of residence for Net worth above $2M and annual income abobe $162,000. $669,000 can be excluded. Income tax: up to $102,100 of foreign income can be excluded. Banking secrecy: in a few states like Delaware, Wyoming, Nevada and South Dakota. Uzbekistan Tashkent DTLTS: can be exempted if reinvested in the same company. Vanuatu Port Vila Corporate tax: rate is for financial services companies and companies with turnover above 10M Vatu. Venezuela Caracas Corporate tax: additional municipal tax is levied on turnover. Venezuela Maracaibo Corporate tax: additional municipal tax is levied on turnover. This year the STC Taxation index has extended the number of jurisdictions it has reviewed. Importantly, we have referenced all our information with the official governmental source in applicable cases. Many tax resources are available per country, but tax rates can vary nationwide. This is why our taxation index compiles tax rates applicable to a specific city, as one relocates to a city rather than living all over a country. Our index ranks the taxation system of a country based on how favorable it is to HNWI relocating to the jurisdiction. In this report we will mostly focus on the two extremities of the ranking: those that are tax-friendly, and those who aren’t. The amount of wealth you possess will usually make a significant difference in the ranking of the country. Furthermore, the activity one might have in his new country of residence will define where that country stands. Therefore, our ranking should be taken with a grain of salt. There might be no debate that the Cayman Islands have a more favorable taxation system for the wealthy than France, but between France and Denmark, an argument can be made on both. The general trend is higher tax on income, consumption and social security. Tax on investment remains low in comparison to promote further investment. The data was researched during the month of January 2018. The vast majority of the information was taken from official government sources; the remainder was taken from credible external sources (see Source). The information represents the rates for the year 2018. The 2018 STC Taxation Index is mostly based on the “Chinese Standard” and net worth of $15m+. All rates are applicable to a tax resident. Source: Refers to the system of taxation on personal income depending on its source. Usually the taxation system will define by territory a source as local or foreign. The possibilities, if income is levied, are Territorial (tax is only levied on local income), Residential (tax is levied on worldwide income of residents) and in rare cases, on Citizenship (tax levied on worldwide income as long as you are a citizen of the country). No taxation and territorial taxation is more favourable; taxation by citizenship is not. Income tax on 100K: Refers to the personal income tax rate imposed on an annual employment salary of 100,000 USD filed jointly. No dependant (child) deductions were added. For countries that levy incremental tax, the exemption and social security deductions were calculated. Certain jurisdictions can levy tax on the federal, regional and municipal level. Income tax $1M: Same methodology as for $100,000, but the tax rate applicable for 1,000,000 USD. Corporate tax: The general tax rate applicable to large businesses. It’s a tax on profit unless otherwise stipulated. The rate can be different for specific industries like oil and gas, and banking. The rate is also the highest tax rate in the case of incremental tax rate. Certain jurisdictions can levy tax on the federal, regional and municipal level. General Sales Tax: The General Sales Tax can also be known as the Consumption Tax or Value-Added Tax. The indirect tax levied on the sale of general goods and services. Certain products like alcohol and cigarettes generally have higher rates and food has lower rates. Certain jurisdictions can levy tax on the federal, regional and municipal level. Social Security Total: The total charges paid by employer and employee on wage. The rate is usually the normal rate, as it can vary based on profession, age and income. It can comprise various benefits like pension, health care, unemployment, etc. Many of them are capped. Inheritance tax(children): The tax on inheritance levied on a resident’s estate passed on to his children (linear). The net worth of the assets of the deceased is estimated at the maximum rate. Reading of the additional notes is usually required as exemption amount are very common. Furthermore, some jurisdictions might not levy tax on inheritance, but charge a stamp duty on the transfer of assets. Capital gain on local publicly traded shares: Refers to the tax on capital gains made on the sale of publicly traded shares on the local stock market by an individual after more than three years of holding period. The tax may vary depending on the proportion of ownership in the company. Our listed rate is for small share of ownership. Dividend tax on local publicly traded shares: Refers to the tax applicable to the dividend paid by publicly traded companies on the local stock exchange to an individual. Our listed rate is for small share of ownership. Dividend tax on foreign shares: Refers to the tax applicable to the dividend paid by a foreign company to an individual and considered foreign dividend income. Wealth tax: A tax levied on the net wealth of an individual and levied annually. The net worth of assets is estimated at the maximum rate of taxation applicable. Exit tax: Also known as expatriation tax, it is applied normally when an individual stops being a tax resident in countries with a residential system of taxation, or forfeits his citizenship in countries with a citizenship base of taxation. In many cases, unrealized capital gains are taxed when one exits the jurisdiction, but in many cases they can be deferred until the assets are sold. Special tax regime: Certain countries have a special tax regime shielding wealthy individuals from excessive taxation. Whether it is by forfeiting a lump sum or tax on remittance, these schemes can be favorable to the taxpayer. China tax treaty: If the country has signed a tax treaty with China, it permits avoiding double taxation of foreign income.